I think my Laptop work slowly. 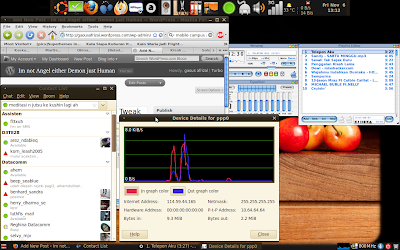 This happen since ubuntu 8.04 - 9.10 . I find out how to tweak but most of them it is only half success. I got ide and try it out, the result so far is good. it only load 30%. this will force laptop to work on the minimum speed which could allow. On my case it work on 800 MHz. I've change my mind go to other heart...hehehe...i mean choose Audacious which need less resources than rythmbox.